Get a sense of the local culture at Melbourne Museum and Shrine of Remembrance. Get in touch with nature at St. Kilda Beach and Royal Botanic Gardens. 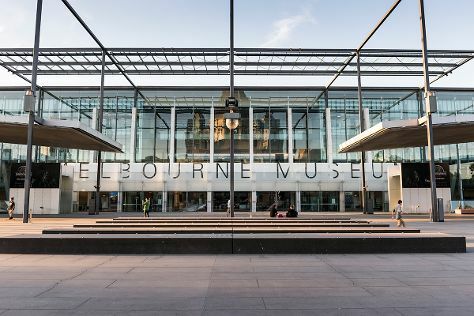 There's lots more to do: get to know the resident critters at Melbourne Zoo, get engrossed in the history at Immigration Museum, see the interesting displays at National Sports Museum, and wander the streets of Melbourne Central. To find ratings, other places to visit, more things to do, and other tourist information, read Melbourne tour itinerary planner. If you are flying in from India, the closest major airport is Melbourne International Airport. Expect a daytime high around 20°C in May, and nighttime lows around 9°C. Finish up your sightseeing early on the 18th (Sat) so you can travel back home.